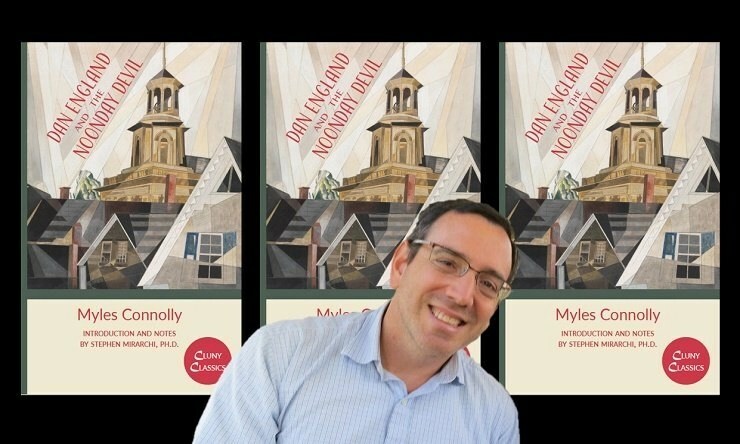 Benedictine College’s Dr. Stephen Mirarchi has been unearthing the novels of a lesser-known Catholic fiction writer from the 20th century: Myles Connolly. In two recent interviews, Kathryn Jean Lopez probes the meaning and message of Mirarchi’s second annotated Connolly work, Dan England and the Noonday Devil. “Why does anyone need Dan England in his life when there’s so much to read already?” she asked. Read his answer, and the rest, here. “First, you have to tell people it’s a real thing and can actually be done. As Chesterton said, ‘Christianity has not been tried and found wanting; it has been found difficult and not tried.’ Fatherhood is tough! Some men are overly competitive or ambitious and get so wrapped up in their careers that their families, their domestic churches, get short shrift. Others have bought into an unhealthy timidity and don’t model genuine masculinity. The rector of Kenrick-Glennon Seminary, Father James Mason, has a wonderful article on this topic, ‘The Forgotten Vice in Seminary Formation,’ as does Bishop Olmsted with his exhortation Into the Breach. Anthony Esolen dedicates an entire chapter to it, ‘Restoring Manhood,’ in his Out of the Ashes.